The past week we have been considering this summers fruits, how to enjoy them, and how to pick a ripe one for eating. If you missed those articles here is each one you can link too: Ten Ways to Beat the Heat with Summer Melons , How to Choose a ripe Cantaloupe , and How to choose and Store Watermelon. Our last article was about choosing a ripe watermelon and how to store it properly. What do you know about the watermelon, other than it is good eating and makes a great summertime treat? 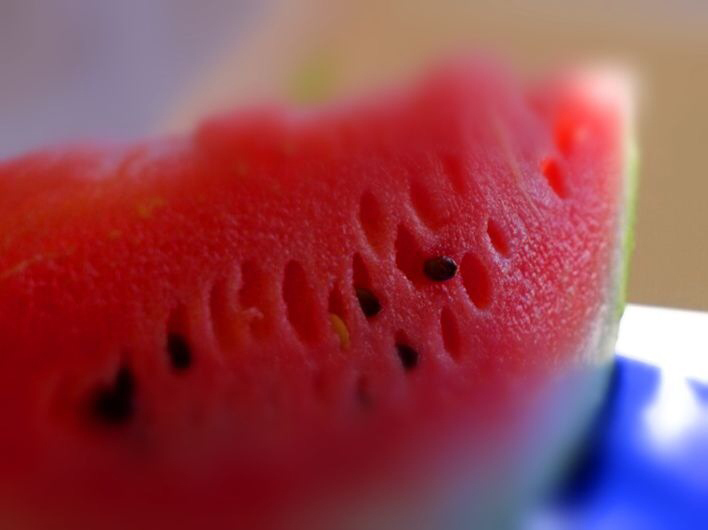 Read on for some interesting watermelon facts that may surprise you. * Watermelon contains a lot of health benefits. It’s good for the heart and it is even believed to help prevent many well-known cancers. * Some consider it to be a vegetable and not a fruit. While its sweet taste makes most say fruit, it is actually grown like a vegetable and harvested as such as well. It comes from a plant similar to what a pumpkin and other gourds come from. When the rind is used for pickling purposes or stir fried or stewed, it is being used like a vegetable. However, most commonly it is known as a fruit. The same is true of a tomato, seen as a vegetable, but is actually a fruit. * Every part of the watermelon can be eaten. * Watermelon is believed to come from Africa and was first cultivated as early as 2000 B.C. It is believed that it was used to refresh travelers as they traveled through Africa, and was also used as canteens. It came to the United States with African slaves, and the term watermelon appeared first in the English dictionary in 1615. * The first seedless watermelon was introduced in 1939, by treating with acid on the blooming flowers before they were pollinated. * It is said that, by weight, watermelon is the most consumed melon in the United States. * There are more than 1200 different varieties of watermelon. They even come in different shapes – including square melons grown in Japan (view latest news of Japans cubed-watermelon here…). 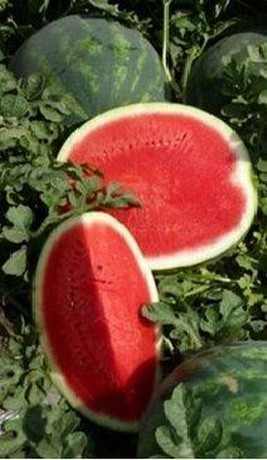 * If you have sun, bees, and water, you can grow watermelon. You will also need a lot of room. Watermelon is best planted in rows 8-12 feet apart. It takes about 3 months for a watermelon to be ready to harvest. * Watermelons must be harvested by hand and not by machine because they are very fragile. * August 3 is considered national watermelon day. So remember to eat plenty of watermelon on this day! * Watermelon contains more than 90% water. * The world’s heaviest watermelon was grown in Arkadelphia, Arkansas by Lloyd Bright. It weighed 268.8 pounds (121.93 kg). * American comedian Gallagher became famous for smashing watermelon on stage with his Sledge-O-Matic. It was wildly popular prop comedy, especially in the 1980’s. Everything you could possibly ever have wanted to know about watermelons. Where it came from, to how it is grown, its health benefits, and even how well liked it is by famous people. Do you have any facts you would like to share with us? Just leave it in the comments below, thanks. Return again for information on Choosing the Right Honeydew Melon. Watermelon Health Benefits – Not Just A Watery Fruit. This entry was posted in Guest Speaker, Reviews - Kitchen Utensils - Cooking - Food and tagged Africa, Arkadelphia Arkansas, Cantaloupe, Gallagher, Mark Twain, ripe watermelon, Seedless fruit, seedless watermelon, United States, Watermelon. Bookmark the permalink. I saw those square melons a few years ago and thought – why not! Japan’s thinking is they stack better in the transport ships, therefore you can transport more melons. Canada has 114 ( not sure how many melons in each order) orders just this year for those cubed melons. Japan seems to always have some great ideas. Thanks Jackie for stopping by and commenting. Have a great Sunday and a great week ahead. Great post, I really enjoyed reading this article. All i know is that watermelons are healthy but I don’t know specifically what are those benefits. It’s nice to know some interesting stuff about watermelons, they are my absolute favorite summer fruit. I wouldn’t go to the beach without bringing watermelon slices with me. 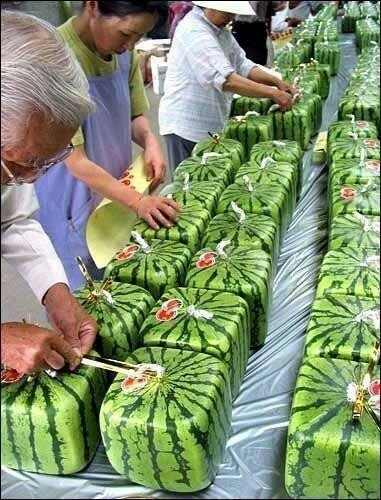 I was so fascinated by those square watermelons from Japan, I didn’t know those even existed. I wish I knew a lot sooner that August 3rd was watermelon day, I could’ve had a watermelon party or something Lol! Anyway thank you so much for sharing this information.